When I grew up, Bruce Lee was one of my biggest role models, and he still is. He accomplished more in ten years than most people do in a lifetime. So I decided to gather Bruce Lee’s most inspirational quotes in one place. The quotes below are what I believe it takes to live a successful life and have success in life and in business. These quotes will inspire, motivate, and encourage you to go after your dreams. With all that said here are Bruce Lee’s top 20 tips for living a successful life. How many people do you know that read a lot of books and spend a lot of time buying courses, but never apply the knowledge they learn? You may even notice these tendencies in your life. It’s hard to take action and apply what you learn, because we’re all afraid of failure, and taking action can be paralyzing from time to time. However, success in life or business doesn’t happen until you use the knowledge that you have inside of you. Most of us have exactly what we need to get to our goals, but we make excuses not to even get started. It’s all well and good to learn from others, but it’s not until you take action that you discover what works and doesn’t. When you discover what doesn’t work, you simply discard it and keep going. When you keep moving forward, you create your own path. Living a successful life is all about experimenting and trying new things. The more things you try, the closer you get to true success. If you can simplify your life, your goals, and your tasks, you will not only be happier, you will also get more done and be more successful. It was not until I started focusing on one single task and one major goal in my life that I started seeing rapid results in the direction of my dreams. If you’re trying to go after multiple things at once, you may end up accomplishing none of them. Pick one thing that’s the most important to you and go after that. The funny thing about focusing on one goal is that it seems that you’re neglecting all the others aspects of your life, but when you focus on one goal, magically the other aspects of your life improve, sometimes dramatically. We all have negative beliefs that stop us from being as successful in life as we would like. The only person holding you back is you. Once you become comfortable with overcoming your fears, you will start seeing dramatic success in your life. One of the most common characteristics of successful people is that they are willing to try new things and face their fears. They are not fearless, they are merely willing to do what it takes. There’s no right or wrong in the universe. It’s subjective. Getting caught up in the drama of who is right or wrong or who is better than will only distract you from reaching your goals and creating a successful life. There’s no need to compare yourself to others. Stay open to new possibilities, and the viewpoints of others. You can never know what you will learn when you explore things you at first thought were pure nonsense. It wasn’t until I found my passion and started contributing to the world with my writing that I started feeling fulfilled. We all have our unique gifts that we can use to make the world a better place. These are usually talents and skills you have that you are very good at, and that you like to do. It doesn’t matter if you like to make jewelry or if you enjoy cooking, because everything is connected to everything else. You are here to make a difference with the talents you have. There’s a reason why you are you. We are surrounded by distractions, such as e-mail, Twitter, and Facebook. They are great at connecting us to each other, but they distract us from what is truly important. Learn to manage your time, and get the most valuable tasks done before you start to play. You can often double, triple, or even quadruple your productivity by using just a few simple time management tips. A good one that I use is to write down the three most important tasks for the next day before I go to bed. Life will throw curve balls at you, so you have to get used to being flexible. The more comfortable you can be with being uncomfortable, the faster you will grow as a human being and the more success you will have in life. This is exactly what distinguishes successful people from unsuccessful ones. Successful people are more willing to be uncomfortable, because they know that that is the fastest path to their goals. Whenever you bump into something that makes you feel bad, stay flexible, and find the positive in the situation. I’ve found that most of the problems in my life are blessings in disguise. The only thing separating positivity from negativity is time. If you want to create your dream life, or start a business around your passion, you first have to know what you want. For the longest time I avoided setting goals, because I thought it was unnecessary. It wasn’t until recently that I discovered that goal setting can not only make me more productive, it can also dramatically increase the clarity I have. When you set goals, use the S.M.A.R.T criteria, which stands for specific, measurable, attainable, realistic, and timely goals. One of my weaknesses is my impatience. However, I’ve learned to channel my impatience into getting more done and being productive. It’s also important to realize that most of the things that are truly valuable in life take time. For example, I discovered that creating an online business usually takes anywhere from 3 to 5 years, if your goal is a full-time income. Whatever you do, keep taking small steps each day toward your primary goal, and you will be surprised at how much you can accomplish in just a few years. It’s easy to get into a rut, which is simply a familiar pattern that feels comfortable. If you truly want to grow as a person and lead a successful life, you have to get out of the box. In fact, throw the box out altogether, and start following your heart wherever it leads you. This can be as simple as following your highest excitement in the moment. Most people are stuck in their minds and never listen to their heart’s deepest desire. Don’t let this be you. What you think about, you draw into your life. If you’re constantly being negative, you will draw more negativity into your life. Instead of focusing on the negative, think about what you want to get out of life and focus on the positive. This is another way of telling you that you have to set goals and focus on those goals as often as possible. The results you will get by doing this will be dramatic. Most people sit around whining about their miserable life, and then they wonder why nothing good ever happens to them. Don’t over analyze and over think. Take massive action even if things aren’t perfect before you start. Most people that try to get things perfect never get started at all. I used to be a perfectionist, but I realized that by taking action, I could get much more done and make much more progress. I also realized that people don’t want perfect. They just want solutions to their problems. It’s easy to get stuck on what other people would think of you if you became successful. Most people are so afraid of this that they never rise above mediocrity. It is not up to you to make people happy. You can only make yourself happy, and the way others react is just the way they will react. Don’t let other people dictate how you live your life. Determine what you want, go after it, and don’t look back. You will be much happier for it. You can make all the excuses in the world, but nothing happens until you stop blaming your circumstances or people in your life, and take control of your life. It is up to you to take responsibility for your life and create your own opportunities. You may not be able to do exactly what you want right now, but you have the opportunity to take steps toward it. No one will create the dream life for you. You have to do it yourself. As I said earlier, you were born with unique talents, gifts, and skills. When you try to be someone you’re not, you will only attract people into your life that are not in harmony with you. When you are you, and that includes the weird things about you, you will find that the most amazing and interesting people start popping up in your life. Sometimes this may take years, and sometimes it can happen in just a few days. Let whatever happens be okay and go with the flow. No success in life is worth it unless you have integrity. It’s very hard to find people that are honest and have integrity as one of their highest values. It’s easy to throw in a lie here and there and try to manipulate people. Only conscious people realize that this won’t make anyone happy in the long term. It might get you what you want in the short-term but it’s not a recipe for happiness. Live with integrity, and people will respect you. And best of all, you will respect yourself which is a very desirable character trait. If you want success in life, learn what other successful people have done to get to where they are. It’s important to learn the principles of success, but not be bound by them. Once you know what you need to do, follow your heart and your intuition. If you want to learn how to create a profitable website for example, I recommend you sign up for a training course, and follow the instructions step-by-step. Once you start seeing success, you can start breaking the rules and begin experimenting. Life is not about impressing other people. If you try to show off, it often backfires. And if you try to seek the approval of others, it will just make you miserable. The only person that needs to approve of you is you. This goes hand in hand with many of the quotes above. You can only be you, and it is not until you reclaim your unique self that you can be truly great. Last, but definitely not least are the expectations you have of yourself. Your beliefs will determine the success you have in life. There are ways to overcome limiting beliefs and negative expectations, but nothing happens until you accept that they exist within you. And nothing happens until you take full responsibility for the life that you have created in this very moment. P.S. 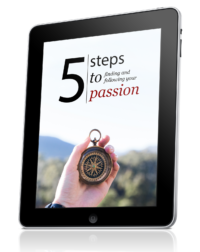 If you’d like to start living your purpose, you may want to check out my popular book, Find Your Passion: 25 Questions You Must Ask Yourself. I have a word doc where I use to copy+paste inspirational quotes I find on books or movies. I love quotes! Thanks Henri… My favorite #14 Allow. We would all be so much better off if we could embrace that one with both hands. My favorite is #1. It’s a great reminder as so many overlook the application of new found knowledge. That is a HUGE pet peeve of mine. I always say, new knowledge and the speed of implementation of it, is the difference between dreams finally fulfilled and living hopelessly wanting. Thanks for sharing and compiling this list Henri. It’s a keeper. It’s interesting when you see someone as a one dimensional character and then your paradigm gets blown to smithereens. Thanks for sharing, awesome quotes. Wish I’d seen this when I was young ! Great way to use quotes from someone worth looking up to like Bruce Lee. I find that each quote and what you wrote with it had something that rang true to me and I could learn from it. You did a great job putting your own ideas to the quotes. Creativity at it’s best. Great thoughts, Henri. Thanks for sharing. I love the statement that there’s no right or wrong in the universe; it’s completely subjective. Such a great reminder. I read a biography about Bruce Lee once and it detailed his training schedule. Wow, it was intense. He trained like a maniac and had incredible discipline. Awesome post! I love the first point about applying what you learn. In several occassions, it’s either the answer is right before our very eyes, or that we already know the answer. And the reason why nothing is progressing is because it is so easy for us to want to know more, at the cost of taking that step forward. Great quotes and these things keep me inspired in tough times… At least they do most of the time. The problem I have is believing I deserve the kind of life I want to live. I want better but am not sure what exactly it is that I want. I also believe others do truly deserve their life and happiness they are experiencing but have trouble believing I do. I’m working on this and am not finding it easy to change my thoughts but wanted to leave a comment here and share how great these all are. I couldn’t choose one if I tried, that I most enjoy and get inspired by because they’re all so great. This is an extremely inspiring article that has opened my eyes. I’m completely motivated and moved by every word that you put into this article. Thanks for this post. I appreciate your effort. This post really resonated with me. I have watched almost all of the Bruce Lee films. Bruce Lee continues to be remembered to this day: he is considered an icon and legend. It is sad, however, that Bruce passed away at such an early age and under mysterious circumstances. If memory serves, Bruce Lee even studied philosophy at the University of Washington in Seattle. That’s where all his philosophy comes into play. Bruce was a master of being open to diverse points of view, integrating, and then creating something entirely unique out of those ideas. Jeet Kune Do was Bruce Lee’s idea of trying to achieve this objective. He wanted to combine the best of the East and the West into a martial arts program that was better than other options. This made Bruce an almost impossible opponent to win over. Because of his creativity, Bruce could be adaptable and flexible at once. He was a master of spotting opportunity. He knew about the strengths and weaknesses of his opponents. In one of his classics, Bruce Lee defeats Chuck Norris in a huge, dome-shaped building–maybe in Italy? At the start, Bruce is no match for Norris, a martial arts master trained in traditional kung fu. Later, Bruce learns how to flow like water and bend like a reed in a storm. Bruce figures out a solution because he knows defeat stares him in the face. So, Bruce uses his intution and imagination against the formal method of Norris. In the end, Bruce Lee triumphs. This demonstrates Bruce Lee’s ability to marry theory to practice. By modifying his behaviour, Bruce Lee demonstrated that he was no arm-chair intellectual; nor did he live in any ivory tower. Thank you so much for this timely reminder. I can’t wait to watch another Lee movie. Cheers. Really enjoyed your post. He also said “The truth in combat is different for each individual in this style…”. This relates to your #16 and #18. A good teacher will help the student discover and develop his or her individual talents. These are amazing quotes, but one important quote is missing – the “Water” quote that Diggy pointed out. It’s unique and gives out a strong message. I came here through UpgradeReality blog and post after post I ended up subscribing to your feed which is something I always try to control otherwise I’ll end up with hundreds of blogs and thousands of unread posts in my reader but without a doubt yours deserve it all the way. I like #14 a lot. It reminds me how important it is to be forgiving of each other’s faults. Bruce Lee was truly inspirational. It is unfortunate that his life was cut short, but he did achieve so much in such a little amount of time. All of these are great reminders of how to be successful in life. The one that resonates the most with me is being patient. It takes time for anything great to happen. Sticking with something through the ups and downs that life throws at you is so important to success. Thanks for the shares. They are very beneficial.